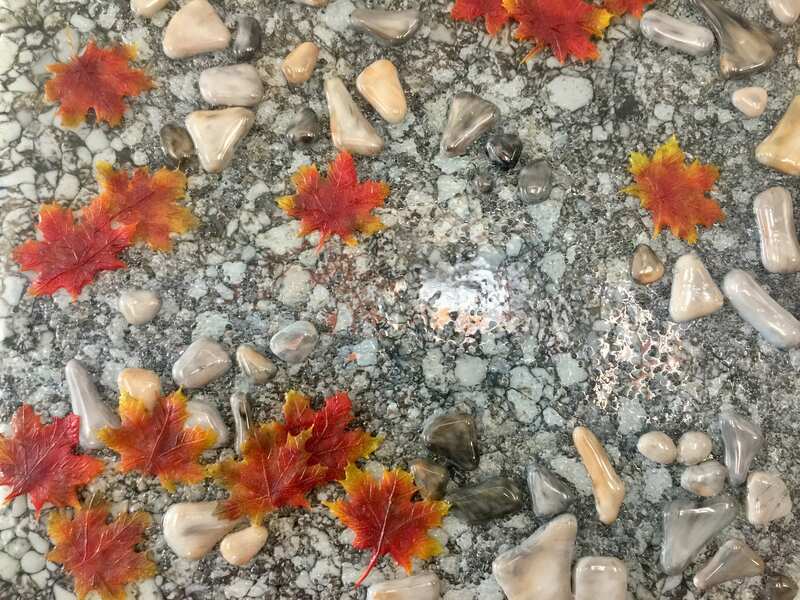 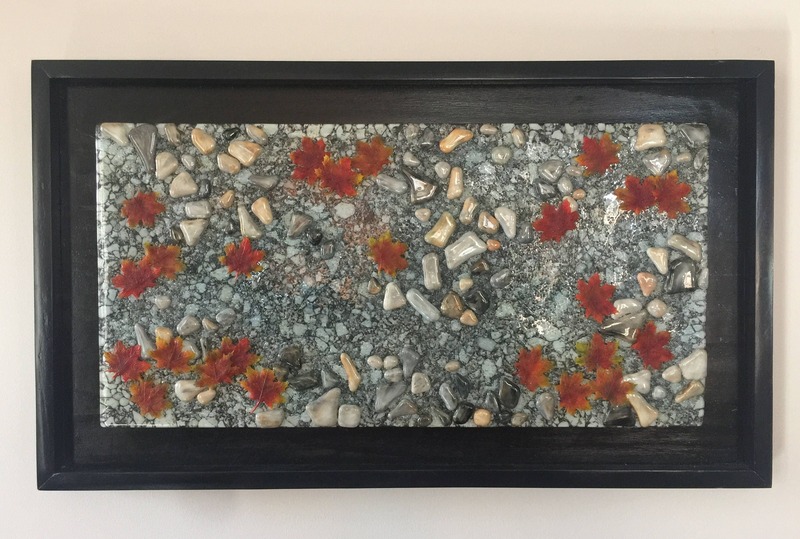 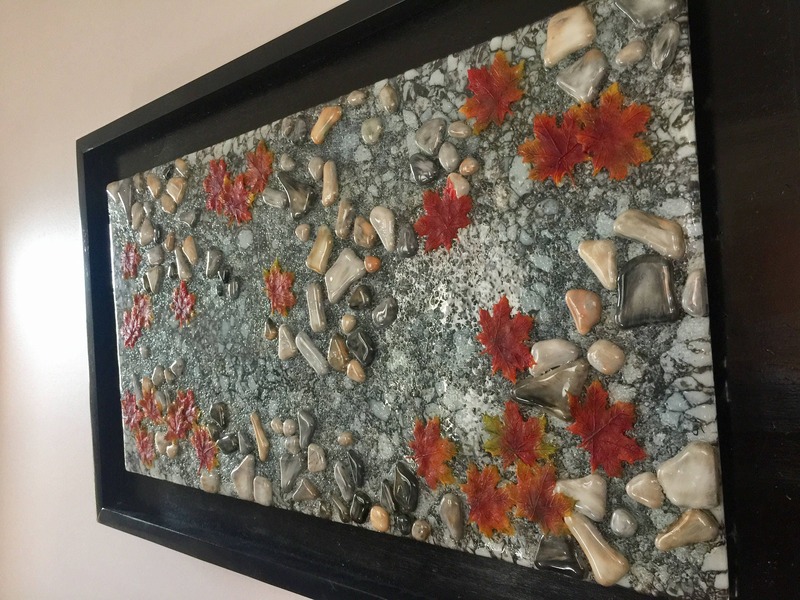 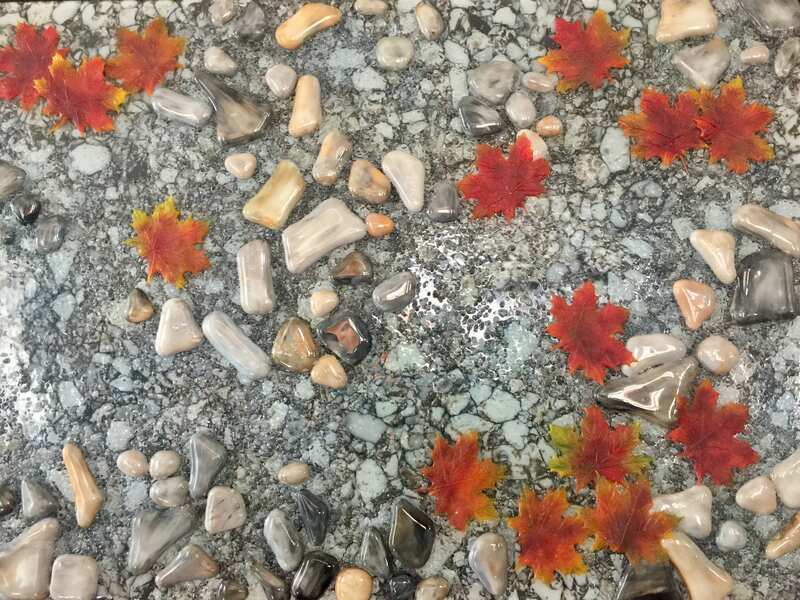 Bring nature inside with this amazing handmade fused glass panel with handmade glass maple leaves. 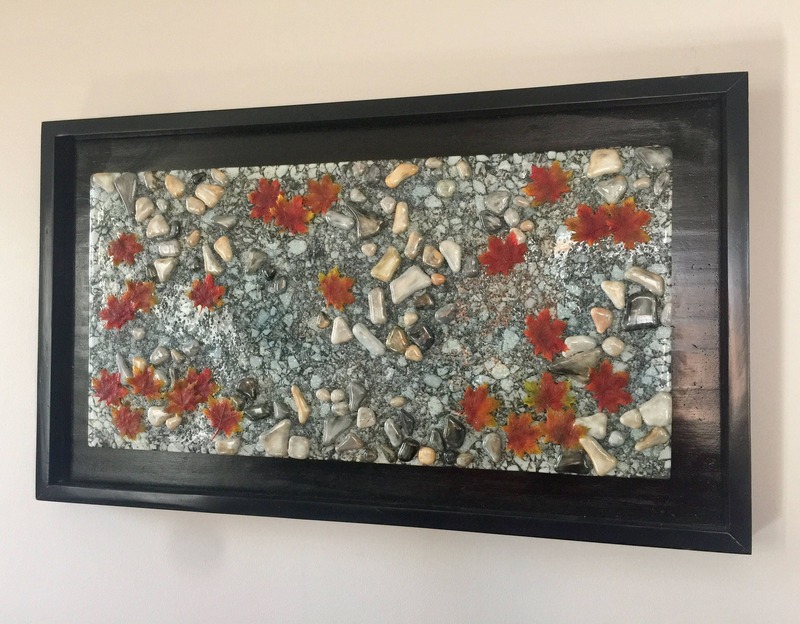 This beautiful piece of art is measures 16inches x 28inches mounted. 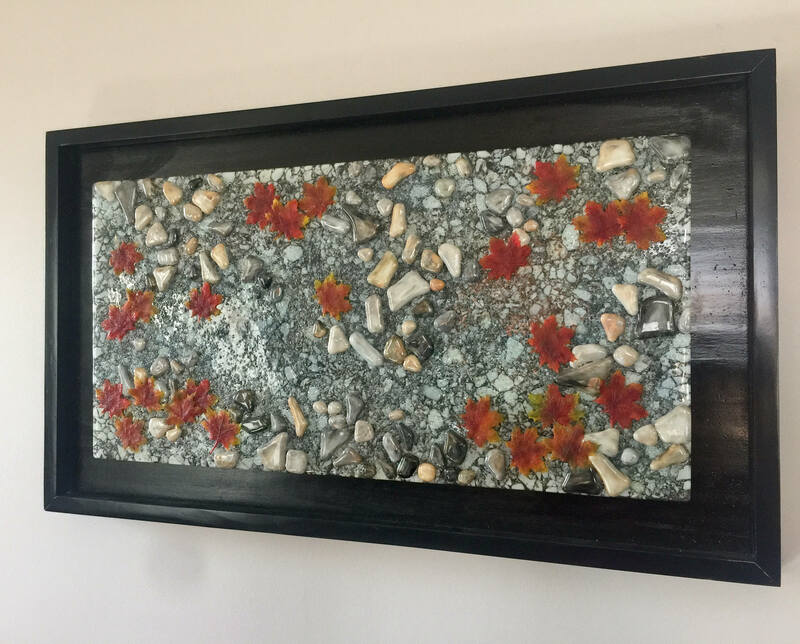 The glass is mounted with a French cleat that gives the illusion it is floating off the beautiful black wood frame.